Nowy, 1,5-tonowy Bentley 3,7 Litre napędzany silnikiem R6 o mocy 105 KM. 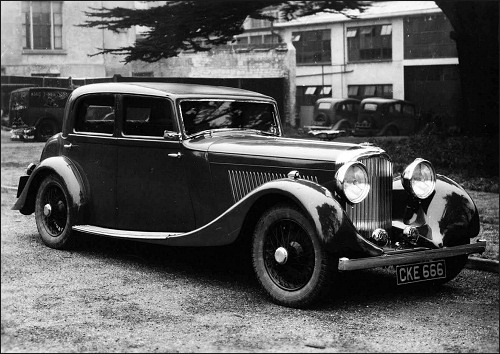 Bentley produce one standard chassis, the 3 ½-Litre with 10 ft 6 in wheelbase. 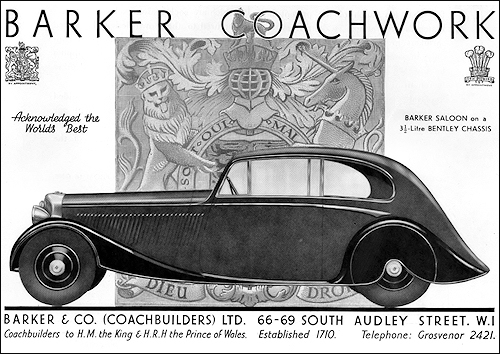 It costs £1100 and is used by various specialist coach builders. The company itself offers three types of complete cars, viz. 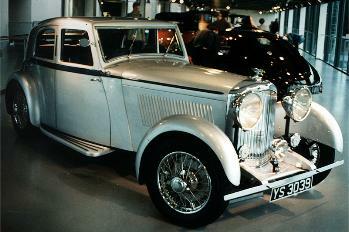 an Open Tourer at £ 1380. a Four-door Saloon at £ 1460 and a Drophead Coupé at £ 1485. The engine is a 3669-cc (82-5 x 11 4 mm) OHV six-cylinder, rated at 25.3 HP. Actual bhp output is not disclosed. 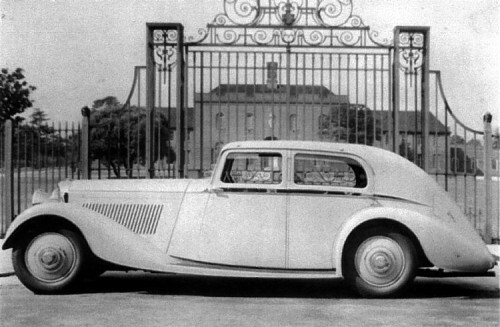 3 ½-Litre B129DK when new, in dove grey it is believed or an off white. The location is the entrance to Manchester Grammar School in Old Hall Lane, Rusholme. 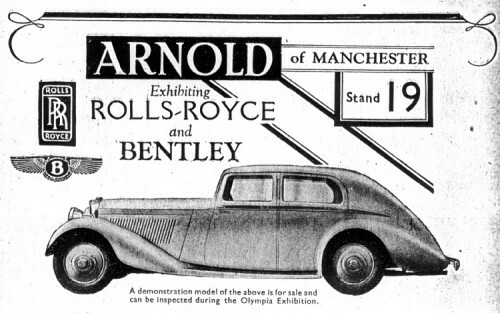 Arnolds Show advertisement in The Motor 16 October 1935. 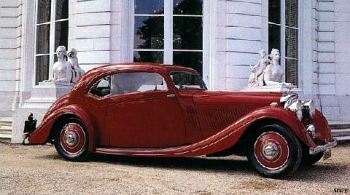 The Show car was B123EJ which has a stepped flowing boot so it is likely this photograph shows Arnolds demonstrator.